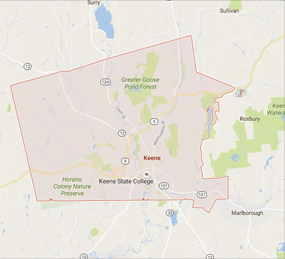 Please visit ChooseKeene.com for up-to-date information on development opportunities and resources in Keene. The site is designed to provide developers and business owners with all of the information, resources and contacts necessary to build or grow in Keene. Choose Keene is also on Facebook. There is a great deal of development happening in the community. Here is a recent report of development projects in the city. As part of the budget process the City Council supported the City Manager's proposal for the City’s first ever Economic Development position/Special Projects Coordinator. Med Kopczynski can be contacted at (603) 757-1875 or email. Also funded in the budget is a partnership between the City and Monadnock Economic Development Corp (MEDC) to fund a Downtown Coordinator position. This position was recently advertised. When important downtown infrastructure is replaced we will have the opportunity to decide how we want the downtown to look & function in the future. Parking access management is essential to the success of downtown Keene. We have released a report and plan to implement changes over the next year. The Mayor has brought back the ad hoc Economic Development Committee. In 2017, the City adopted an Economic Development Action Plan. Here is a recent update. This report is a great report card on our progress since the adoption of the plan. We have released a new ChooseKeene website and Facebook page to provide essential information to current and prospective businesses interested in developing in Keene. We have prepared a development package for potential businesses - please contact Med to request a packet. The charge for the Airport committee has been updated to focus on marketing and development. We have been working with the Town of Swanzey to find ways to encourage development. We worked together to have an Economic Revitalization Zone adopted at the airport in November of 2018. We are in the middle of a substantial effort to update our Land Development Code. This is a 15+ month project. Visit KeeneBuildingBetter.com for info. In 2018, our Health, Code Enforcement and Planning Departments were merged to create the new Community Development Department here at City Hall. In 2019 we will be updating our zoning and permitting processes to simplify and create efficiencies. Please visit ChooseKeene.com to access complete information and resources.